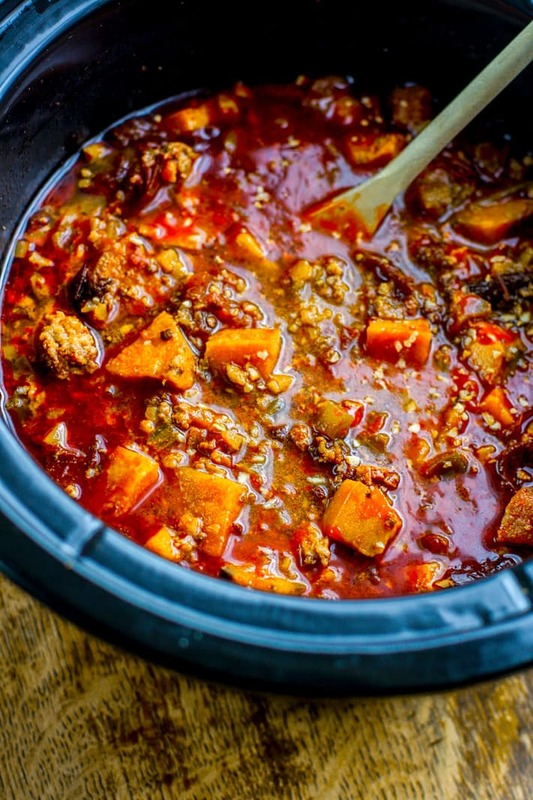 Crock Pot Paleo Sweet Potato Chipotle Chili! 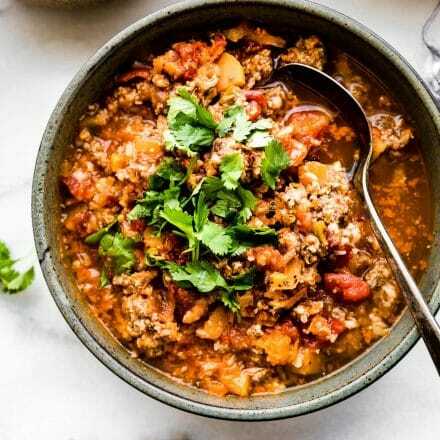 This beanless chipotle chili recipe is healthy but hearty, with an extra kick of spice! Made with simple ingredients you probably already have in your fridge! 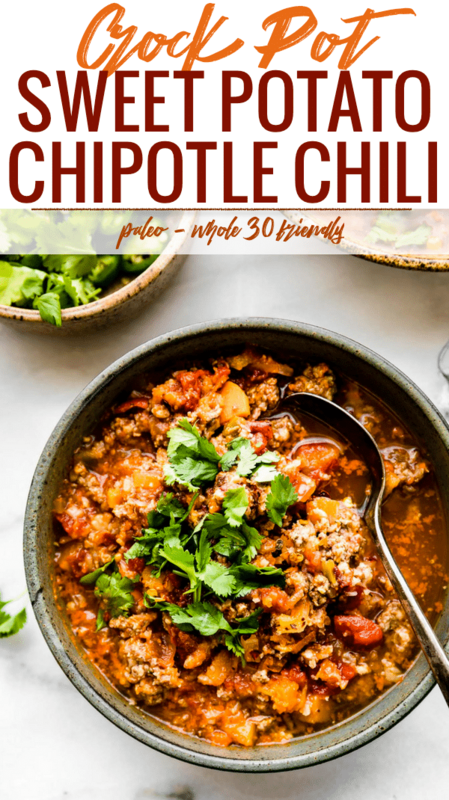 An easy whole 30 and paleo friendly chili made in the crock pot so you can be ready to serve with little effort. Just letting you know this Crock Pot Paleo Sweet Potato Chipotle Chili recipe was originally published in 2015. I retested (in a different slow cooker too), rephotographed, updated content and URL. Now I am republishing it for you today! I hope you enjoy. Thank you for following Cotter Crunch Y’all!. Hey friends. I’m sure most of you are running around like crazy getting your New Year Started off right. Or Maybe you are Type A and have this year’s goals planned and this month already prepped, ahem … with meal plans perhaps? You know I love that focus and new year’s challenge. 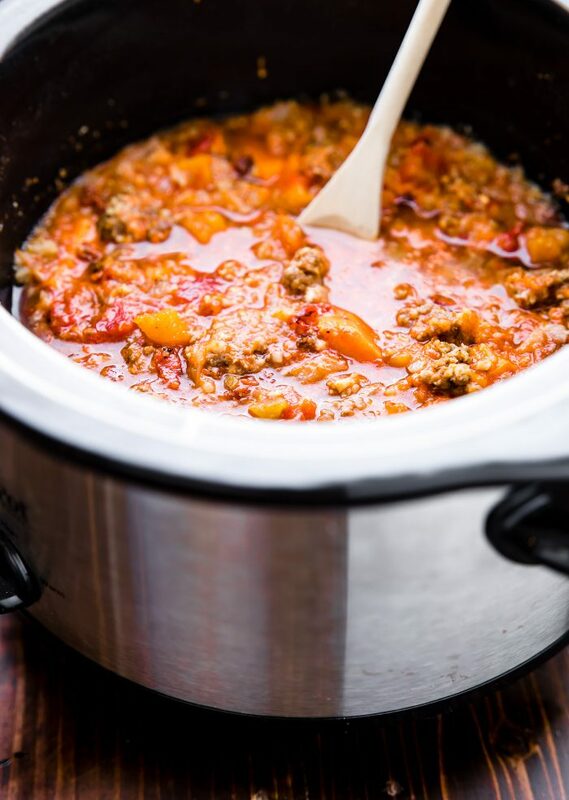 But one thing is for sure, even though the Holidays have passed, we are still allowed to practice using all those leftovers, meal planning or not, those kitchen sink soups, crock pot recipes, all things chili, and easy casseroles sure do come in handy. Utilizing and enjoying every bit piece of seasonal produce, leftover salad bowls, ham, etc. 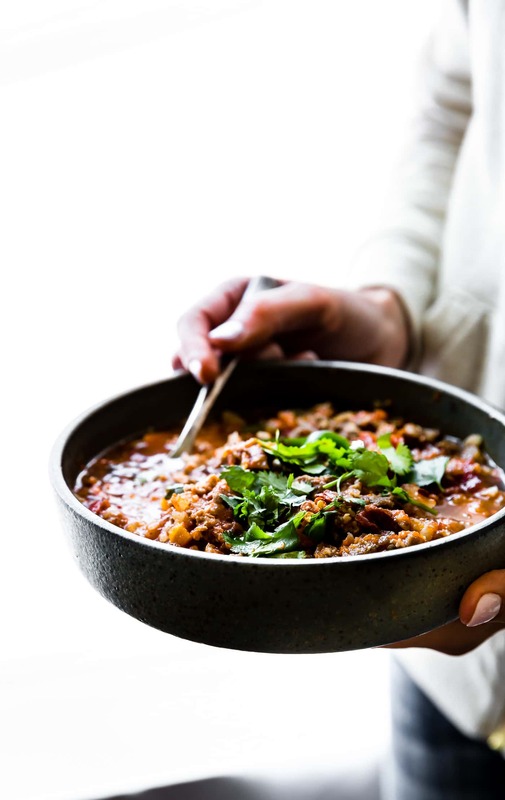 And if you’re like me, throwing leftovers in into a pot or crock pot to make paleo chili is definitely happening on a regular basis! My instagram stories are proof! Haha. I know I know, I’m still talking about using leftover Holiday food. And I hate mention it yet again, but we don’t like plain turkey (much). However, I’ve used ground turkey, pork, and chicken meat in this chili and it tastes DIVINE. I’ve even made it meatless too! Yep —> Nailed it. 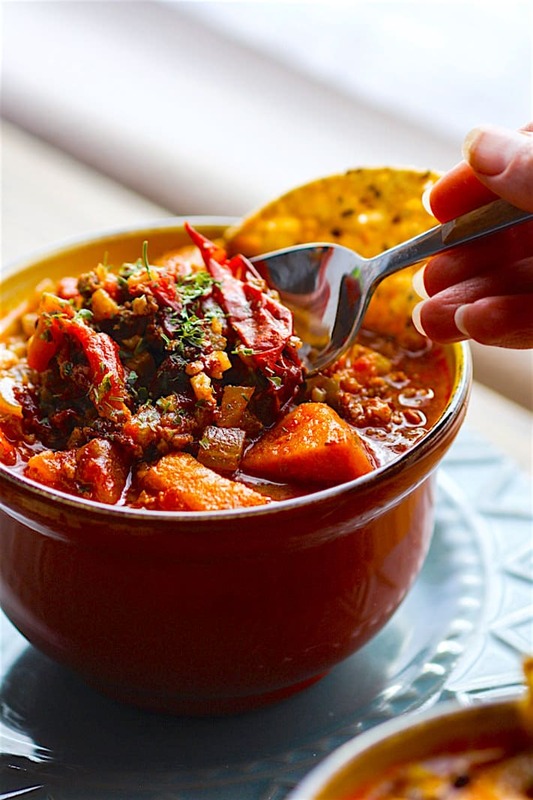 Crock pot Paleo sweet potato chipotle chili in more ways than one! 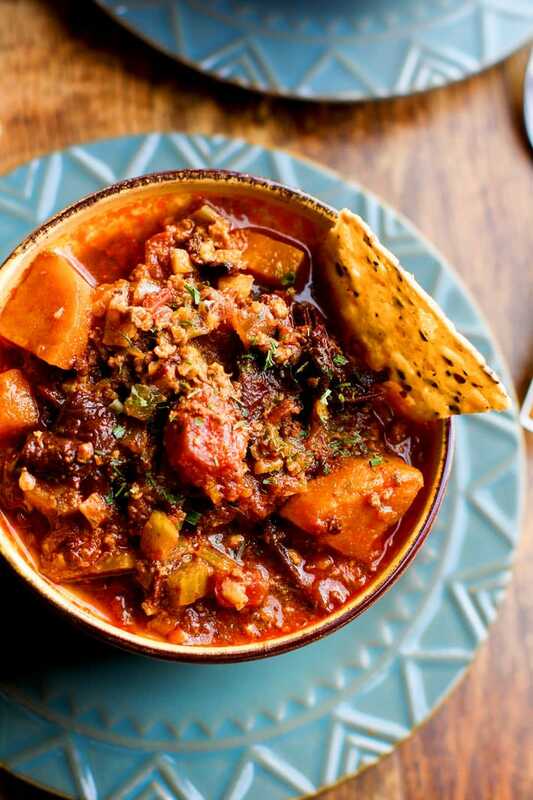 The true smokey flavor from this chipotle chili definitely comes from slow cooking the chipotle peppers. I used this brand of chipotle peppers in an adobo sauce, but there are several in the store you can chose from. Look in the International aisle! We don’t mess around with spice here in Texas ya’ll. And when you add in the sweetness of well… sweet potatoes, you got one KILLER combo. I mean, one SMOKEY SPICY SWEET combo. You have been warned, the spicy part is not an understatement. Haha! But can I tell you another secret? I really made this chipotle chili to try to branch out a bit when making this for family. They are so used to traditional Texas chili or White bean Chili, which consists of corn and bean as the main starches. Sure, that’s all good from time to time, but dang, we needed change. We needed some SUPERFOOD veggies. Superfood as in cauliflower rice, onion, sweet potato, tomatoes, and other spices! 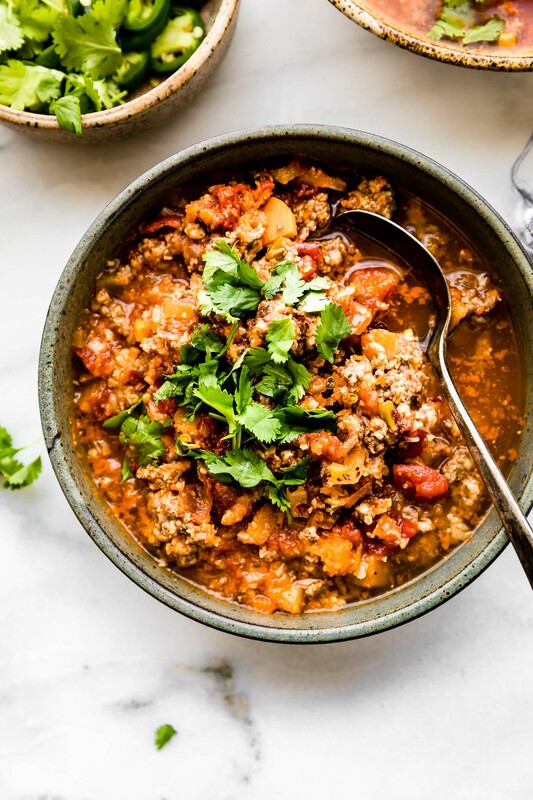 Now combine that with ground meat and you got yourself a hearty flavorful crock pot paleo chili, not to mention whole 30 friendly. Looking for another Vegetarian version? 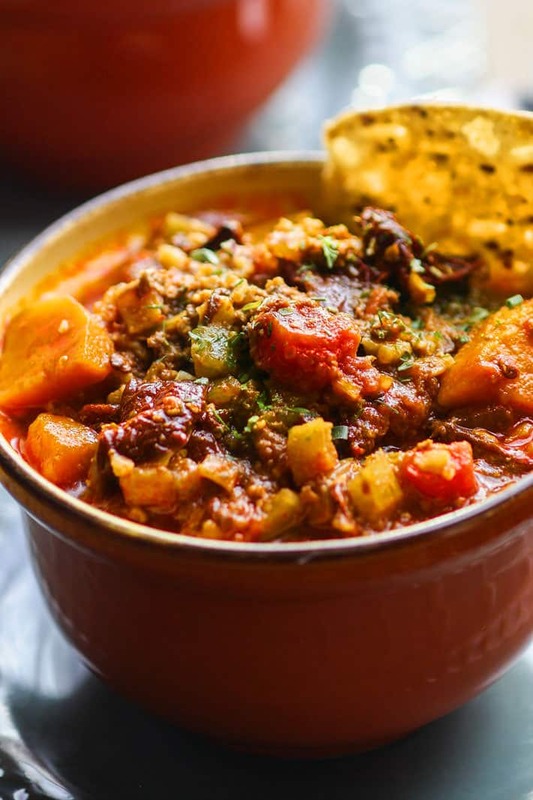 Check out my crock pot BBQ lentil chili or Perry’s Plate Vegetarian Paleo Chili Recipe. First chop and peel your potatoes. Place in a microwave safe bowl and steam with 1 tbsp water in them for 2-3 minutes or until tender. Brown meat in a skillet, drain grease. Then place in crock pot. Add your canned tomatoes, sweet potato, onion, cauliflower, broth, and mix all together. Finally, add your seasonings and chipotle peppers with sauce. Add your bell pepper here if you are using it. Stir and cook on high for 3-4 hrs. If you browned your meat prior then cooking time will be less. Around 1-2 hrs high, checking at 1 hour or so..
Add more paprika and or black pepper/sea salt when finished cooking if desired. Garnish with fresh cilantro and optional jalapeno. If you are using cooked meat, adjust time to one hour or until veggies are cooked. Add your meat in the last 20 minutes to just reheat. If you use the canned, you can include some of the sauce with it to make it more spicy! And more colorful. But be careful, it will be VERY SPICY with the sauce..
For a richer flavor, substitute the broth with tomato juice or tomato puree. Plus it was just another way to bust out my crock pot again. Which we all know I’m kinda obsessed with, that and my instant pot. LIFE SAVERS!. Okay, I won’t keep you. I know you’re busy planning/prepping/goal setting. So remember this dish next week. You know, when you are looking for an easy freezer friendly dish or easy week night dinner. Heck, its also perfect for entertaining a hungry football watching crew! 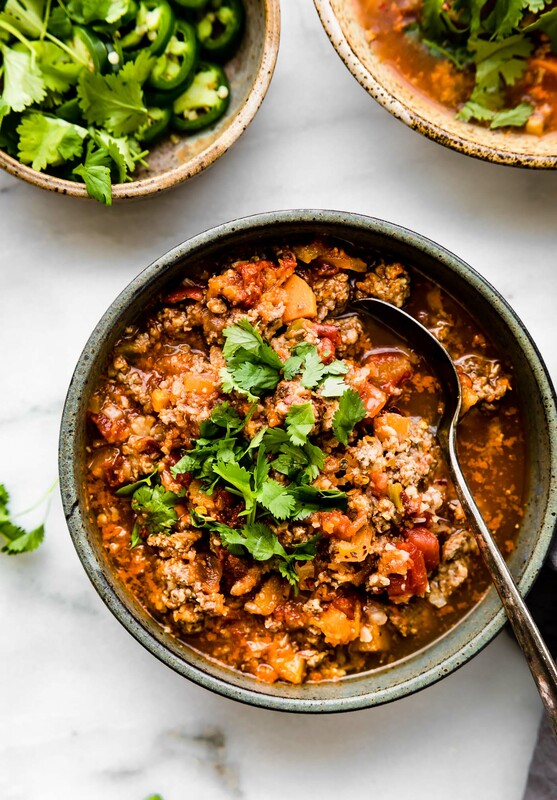 A healthy whole 30 chili that feeds a ton of people. DO IT! CHIPOTLE CHILI TO THE RESCUE! What’s your favorite type of Chili? I’m liking the no bean aspect here although I have nothing against beans! Happy Thanksgiving friend! Want this and need this! It looks amazing. Reminds me that I need to use my crockpot more! thought of you! yes, turkey chili!!! I need a bowl of that asap! This chili sounds amazing! I’m such a fan of sweet potato (or even butternut squash) in chili. Gives it just enough sweetness! It’s totally man friendly! LOL! Cauliflower in chili – I didn’t think I could love chili more but that’s a great addition!! I’m all about sweet potatoes in my chili – we rotate between sweet potatoes and butternut squash.The sweet and heat is the perfect combo! Hope you and your family have a happy happy happy Thanksgiving sweet friend! This looks incredible! I might need to consider putting Thanksgiving on hold for this one lol! I just showed this to Vegas. We’re making it when we get home. 😉 Happy Turkey Day!!! wait? where are you now? LOL! ATL? WOW ! this is soooo gorgeous. I love this kind of a meal. Gorgeous. Ooooh it is perfect chilli weather!! This sounds heavenly! It’ll be another month till we get the turkey out here, but in advance of that, I’m pinning this recipe now. This would be a fab recipe to use that leftover turkey with! Thanks Lindsay. Happy Thanksgiving, hope you guys are having fun! I am definitely going to have to try making this. I need a new chili recipe and would love making one with sweet potatoes! I just made something super similar to this last week. It was sooooo delicious and flavorful. I love anything with chipotles. So good! This looks incredible!!! I hope you had a wonderful Thanksgiving friend! thank you friend. MIss you! Hope yours was great! This looks perfect for a day after Black Friday shopping! Oh I’m lovin’ this sweet potato chili, Lindsay! Nice changeup from the regular. No overachiever here. Ha, in my dreams. Hope you had an awesome Thankgiving with your family. 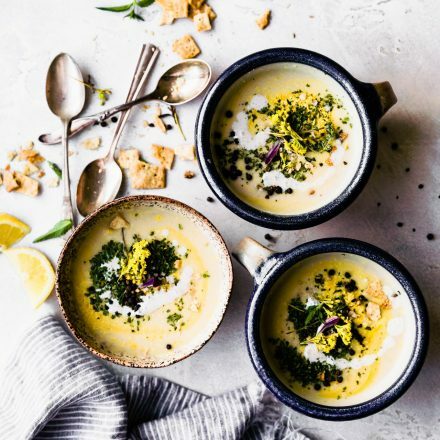 The photos of this recipe are gorgeous! Plan on making this Friday! How long would I need to cook this if I set my crock pot to low instead of high? are you going to add meat or keep it vegetarian? I would say try low for at least 5 hours. Check meat then if you are using it. And keep on low for a few more hours until meat is cooked. If you are not using meat, then it might just take 5 hours. Does that make sense? Yes thank you! Can’t wait to make it. Hi, the recipe says to brown the ground beef before adding it to the cooker. So wouldn’t the meat be all but cooked going in? I’ve heard of browning larger cuts to get a sear on the outside…but I wouldn’t think that applies to ground beef since the pieces are so small. I wonder if you can just skip the browning step? I’m new to cooking so sorry if this is a dumb question. Good catch! I steam them in the microwave with 1 tablespoon of water in the bowl. Does that make sense? 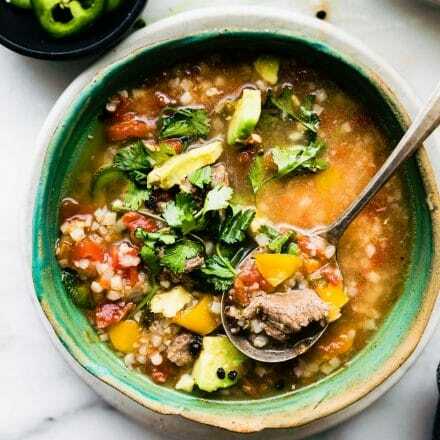 Can you tell me what kind of broth is used in this recipe? I used organic chicken broth but beef or veggie works too! You say to put the shallots in during step 3, but then in step 6 say that they must be added 1 hour before the chili is done. Just wanted to let you and any other readers know. I’m hoping this will not ruin the chili as I can’t take them back out. Smells good though! Thanks! Oh thanks for the heads up! I will fix that. It should be okay though. Keep me posted! Didn’t turn out to be a problem. So. Dang. Delicious. A new cold-weather staple! I just made this and it was delicious! I made it in the pressure cooker- only took 3 minutes on high pressure. Reduced the broth to 2 cups and only used 1 seeded chipotle (I’m a wimp!) Thanks for a great recipe! oh yay! Now i need to get a pressure cooker. LOL! genius! Did you cook the meat before putting it in the pressure cooker? 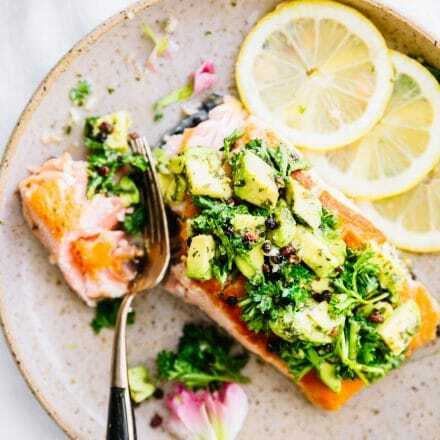 I’m thinking about trying this in my Instant Pot and would love to know if you made any other modifications! Thanks! I did not. It was uncooked. But you could totally brown it a bit before and then place in instant pot. Let me know if you try it Erin! Also, are you wanting it spicy or not spicy? I just got an Instant Pot and was going to ask about this being made in pressure cooker. You followed the recipe the same, but cooked on High Pressure for 3 minutes? Was that a mistake, 30 minutes? Thank you! You cooked all in pressure cooker vs crock pot. Is that correct? No sorry, that was a question to a comment above where someone wrote that they made this in a pressure cooker for 3 minutes. I was wondering if that was the correct time. Just received my Instant Pot yesterday and was pinning recipes to try! This is on my list but want to get the correct timing. thank you! I cooked this in an old school stove top pressure cooker. There aren’t pressure variations. I browned and drained the meat in the cooker. I wilted the onions the cooker, then added everything else. I didn’t use cauliflower. I sealed the lid, brought it up to pressure, then cooked for 3 minutes. Then I did a quick release ( removing from heat and running under cold water at the sink). It was fine and tasted great. I left the peels on my sweet potatoes (scrubbed) I like the texture and the added nutrition. I made this last night. It was delicious. Perfect amount of spice. I did brown the meat before adding it in at the end. Overall awesome. Thank you so much. I made this last night. While it is summer, I have been craving a good soup or chili. This is perfect with the sweet potato. I subbed zucchini for cauliflower because we have about 20 of them on hand at all times from the garden. I definitely recommend using the shallot too. Added chunks of avocado to my 2nd bowl…amazing! Thank you for sharing this. ohhh good call on the zucchini! will have to try that next. Thanks Andrea! 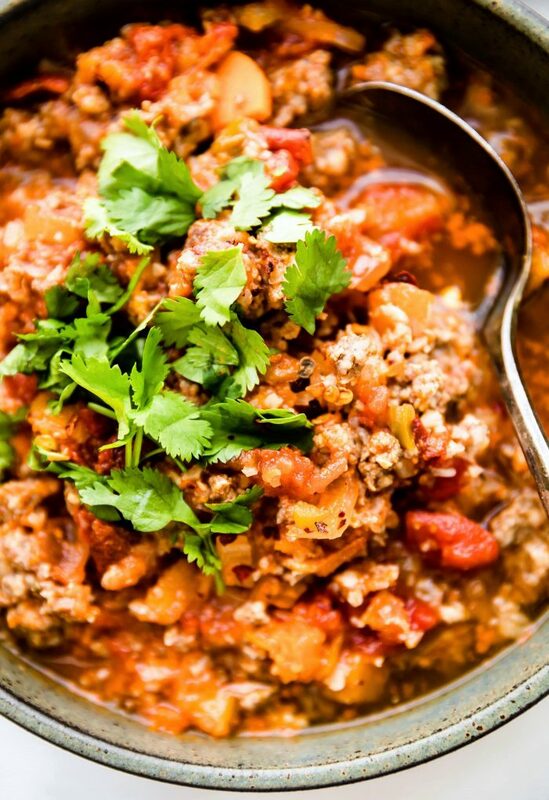 So pumped to make this recipe tonight – but mine came out very pale and not at all “chili”-like or red like yours! It’s more like a beef and potato soup with so much broth. I only found pre-chopped chipotles so I used several spoonfuls, but everything else was exactly the same as the recipe. Not sure what happened! Hmmm i wonder if it was the peppers? My are super red and the oil from them made the chili red. I’m so sorry! I’ll adjust the notes. I’d say less broth and just pack in more vegetables. You can also drain the tomatoes so it’s less liquid. How was the flavor? I’m going to make this today! I’m using ground turkey, which I will cook before adding to the crock pot. I am also leaving out the cauliflower. And I’m going to cook it on low for 5 hours or so. I hope the hubby likes it. He doesn’t really like new things. But he hates beans and loves sweet potatoes, so I’m hoping this chili will be a hit with him! Keep me posted. It wont’ be as thick without the cauliflower but you can totally add in more veggies! Delicious! What are the nutritional values per serving? I don;t know but happy to calculate that. Will do it soon and add it, for sure! On the video Cooke meat is used and then still cooked for 3 hours. I am following the video because I was kind of confused by the end note that said adjust to an hour and add meat last, hopefully it’ll turn out but if you could please clarify for next time. Oh thanks for reminding me to update that. I will do so! sorry, ive been moving and forgot i needed to fix that. browning meat is optional for shorter cook time. Keep me posted. Hi there! I’m currently on hour 3 of the slow cooker on high and the potatoes are still rock hard. I definitely did the steaming step in the beginning. Adding on another hour in hopes they will soften up! I browned the meat (turkey) before adding it so now I’m afraid it will get dry, but hopefully the broth and liquids will keep it moist. thank you! Just updated it to say finely chopped or riced. Both work though. How did it turn out? Were your potatoes large? Maybe that’s what happened. Hmmm, sorry! The meat should be okay as long as it’s in the broth. If the potatoes are still hard, just turn to low until they are cooked. DOes that make sense? Yep that makes perfect sense, thanks for your quick response! The potatoes were definitely soft enough by 4 hours in. I’m currently waiting for it to cool a bit before I have a big bowl of it but I had a small taste of a potato and it was good! The cauliflower seems plenty soft. In the future I think I will try ricing the cauliflower and cutting the potatoes slightly smaller. Thanks again for this recipe and your quick response! Perfect for cold weather. Final verdict is that it was DELICIOUS and I just needed to be patient with the slow cooker 🙂 I’m looking forward to eating this for my lunches this week. Thanks! Anna I had the same issue with my sweet potatoes and they were cute pretty small. I made this last night and put it in the slow cooker on high at 6:00 and by 9:00 we had to give up and eat leftovers. I am going to put it back on tonight for a few hours and hopefully finish up the cooking. Oh no, really? Did you try steaming them in microwave for 3-4 minutes first? sometimes that helps. Keep me posted on tonight! Honestly, you’ve shared so many amazing recipes here and oh my gosh, I just want ALL of them. I’m totally drooling over here! This was excellent! I did sneak in a tablespoon of brown sugar to cut the acidity. I used half ground beef, half ground pork. Just delicious and bet it’s going to be even better today! oh that’s a great idea! I will have to add that next time! Thanks Michelle! This was DISGUSTING. Tasted like meat and vegetable water with some adobo mixed in. I suggest adding more tomato purée an tomato paste no beef broth. It was so watery and not at all chili like. Oh no! so sorry to hear that. I’ve made this so many times and always get great feedback from others. I truly am sorry you didn’t like it. I wonder if it was the adobo sauce you used? I’ll definitely add in the tomato sauce suggestion vs broth. Thank you! I’ve been using my crock pot a lot lately and this looks like one my while family will love! Definitely not type A personality so I’m sure I’ll be running around like a headless chicken when the holidays kick in. Only hope, I have a bowl of this chilli waiting for me! How much is in the serving size? About 1 1/2 to 2 cups. Hope that helps! Hey Lindsay….! 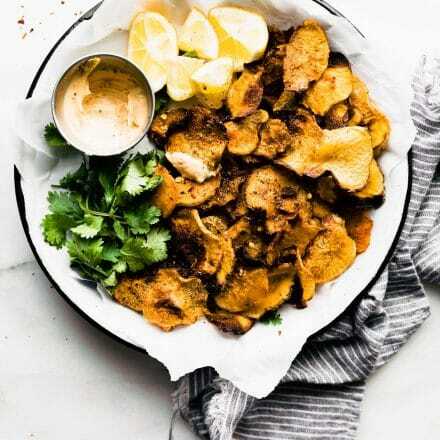 am also reads your post but this is one of my favorite recipe, these recipe looks sooooo nice, and i love your photography, i will trying to making this. Thanks for sharing and keep shared your new ideas….! this looks epic and I can only imagine how it tastes!!! LOVE the chipotle flavor here! 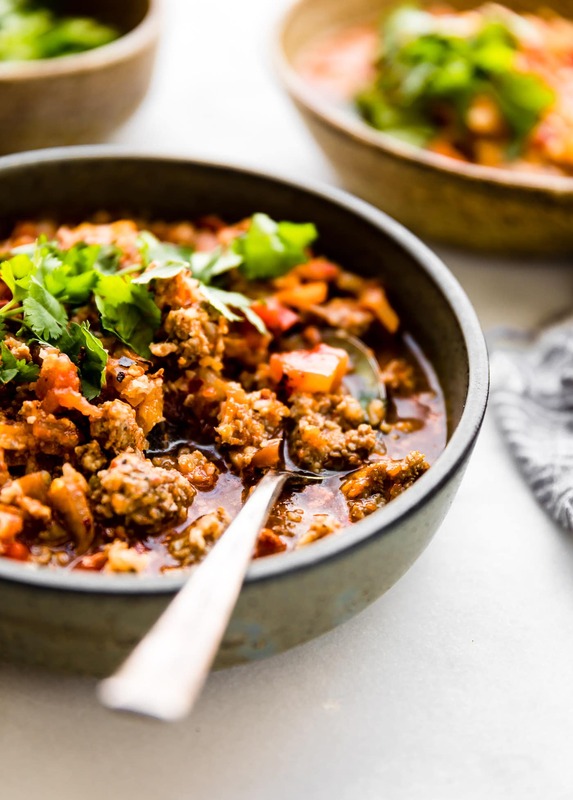 I love this fun twist on traditional chili. Perfect for these cold winter nights! for sure! It’s my go-to recipe in the winter. Can this be done in an Instapot? How much time would you think? I think so! Just brown your meat first. DO you want to use it in slow cooker mode or pressure cook? If pressure cook, I say brown meat first, drain grease, then add the rest of ingredients. Pressure cook for 10-12 minutes and slow release after that. Let me know if you try that! I loved everything about this recipe except the chipotle adobo, smokey flavor. What could you use as a substitute? I am gone rate this 4/5, presentation looks amazing, and i sure it will be delecious as it looks. Honestly, you’ve shared a really scrumptious recipe here and oh my gosh I’m totally drooling over it right now! I rarely make anything in my crock pot because I’m away at work longer than I can leave it on! Could you make this in a soup pot? I’m thinking I would need to dice and roast the sweet potatoes and cook the meat first. Really want to make this for dinner one night this week! I’ve tried making this without reducing any recipes, but I think it’s still too spicy. Hehe. I just came across this recipe. I believe my family would like it but my family and friends all believe chili should have beans. Can you add beans and if so what kind? sure! I would add canned black beans or pinto beans. You might have to cook it longer if you add uncooked beans. Does that make sense? sure thing friend! I would saute (brown) meat first with sweet potatoes and onions. Maybe 5 minutes? Then add the rest of your seasoning and vegetables and broth. Switch to manual and pressure cook for 15 minutes, slow release. I haven’t tried that yet but I think it would work! keep me posted. Sounds amazing! I don’t have a Crock Pot… anyone ever made it on the stove, or in an Instant Pot? Super spicy for me! I’ve used chipotle peppers in Adobe before, but maybe this was a spicier batch? How can I tame this so we can eat it this week? Oh strange. Could be the batch! Maybe add less of the sauce and chipotles from the can. Replace with a salsa or just a tomato sauce. Does that make sense? Sorry, I wasn’t clear. I already made the chili, what can I add to it to bring down the heat? I would try to spoon out the chipotle peppers and maybe add more cooked diced cauliflower or potato. You could also add a bit of yogurt or sour cream (if you can handle dairy) when serving. Or add more broth. Hope this helps! I am SO making this when I get back to Nantucket…PERFECT for a cold night! This was amazing!!! A bit too spicy for the kids but it will be going into the rotation here for sure! Your serving size says 1 – how many does this actually feed? I plan to cook it this week for two and have leftovers for lunch! thank for sharing.I need to try these with my kids. They adore marshmallows. I didn’t even know you could make them so easily! I have one of the pickiest kids ever… he will not eat chili, most meats, etc. I doubled this recipe as I have a large family. I expected with mr picky and some family members not being home that it would easily give us dinner for 2 nights doubled. I was WRONG. Mr picky ate it for dinner and brought it to school the next day for lunch. I left it in the crockpot all day as I live out of town… it was cooking on low for 9 hrs and then “keep warm” until I got home.. .possibly a little mushier than it would normally be, but it tasted great. Managed to get 2 lunch sized portions out of the leftovers. Will definitely be making again! This recipe was so yummy, and is sure to be a favorite around here. Please fix the sweet potato instructions, though – 90 seconds is not long enough to soften them. We ended up microwaving our servings a couple minutes, then slow cooking the chili for another hour to get them soft enough. But I will definitely fix again, thank you! Oh thank you! I meant to update that. Will do now! You’re welcome! I’ve been eating this for leftovers every day this week. I can’t get enough of it. Makes me a little sad that spring is (finally) here and chili weather is over. I’ll probably fix it anyway, though! I actually use the base (no broth) in taco salads for warmer weather too! It’s good!